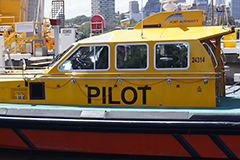 Pilotage is compulsory for all vessels 30m and over in length, unless exempted under section 75 of the Marine Safety Act 1998.The Port Authority of New South Wales employs Marine Pilots to ensure the safe and efficient movement of large ships in confined and sometimes congested waters of our Port Jackson (Sydney Harbour) waterways. 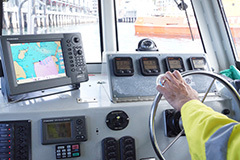 Our Marine Pilots are required to have had extensive experience on seagoing ships and as part of a condition of employment be a holder of a Master Class 1 Certificate of Competency issued by the Australian Maritime Safety Authority. 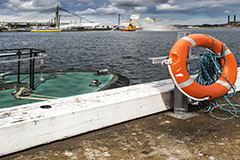 Further extensive training is then undertaken to specialise their skills on local knowledge and aspects of handling large vessels in confined areas. Passage Plans show regular routes undertaken by seagoing ships navigated by our Pilots. These plans are typically used to develop a shared mental model with the Bridge teams of arriving ships detailing the exact route that is planned along with environmental conditions and planned manoeuvres to ensure these ships arrive safely and are able to discharge and load their precious cargoes. 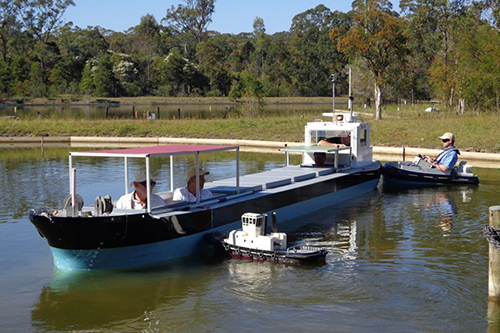 For more information download the Port Information - Sydney Harbour and Botany Bay.